A March 26 bomb explosion at Adımlar Magazine headquarters in Istanbul left a columnist dead and 3 others wounded. Most Turks had not heard of the magazine Adimlar ["Steps"] until March 26, when a bomb blast ripped through its Istanbul offices. A bomb left at its entrance exploded when the door opened, killing a writer and wounding three, including its editor-in-chief, Ali Osman Zor. The dead victim was his brother. Last October, CNN interviewed Zor, who described himself as an "Islamic revolutionary" and a member of the Great Eastern Islamic Raiders' Front, or IBDA-C in its Turkish acronym. He spent time in prison on charges of terrorist activity. In the interview, Zor said he supported the Islamic State of Iraq and Syria (ISIS), including its extreme violent practices, and argued that the radical group's violence was a natural response to what he claimed were decades of Western imperialism in the Middle East. The police have not yet announced any suspect for the bombing, but a magazine staffer unsurprisingly told CNN: "We know this to be the work of CIA and Mossad. We know this is an intelligence operation." The IBDA-C is inspired by Turkish Islamist poet Necip Fazil Kisakurek's "Great East" ideology. The bombing refreshed Turkey's bitter memories about a dark episode: its own 'ISIS" that started to operate (well, to bomb and kill) several years before Arab jihadists established their Iraqi-Syrian version. Ironically, the Turkish IBDA-C is an ideological inspiration by an Islamist poet who happens to be President Recep Tayyip Erdogan's favorite. IBDA-C was formed as an armed wing of poet Necip Fazil Kisakurek's "Great East" ideology, which aims to establish a federal Islamic state. 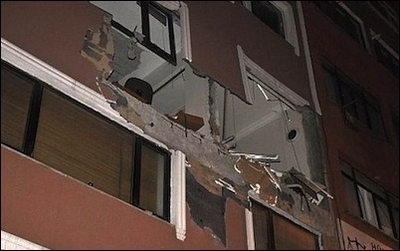 The Turks had their first shock from IBDA-C in August 1993, when, a month after radical Islamists staged an arson attack at a hotel in central Anatolia, killing more than 30 writers and intellectuals, the group's now-defunct Taraf magazine wrote an editorial that said: "From now on life in Turkey will be difficult for the occupying seculars." Later, in a bombing attack for which IBDA-C claimed responsibility, the group killed a three-year-old boy and injured 25 people. IBDA-C had attacked a book fair where, among all the others, Christian missionaries exhibited their books. IBDA-C declared 1999 the "Islamic Revolution Year," and assassinated a prominent academic, Ahmet Taner Kislali. It also allegedly helped al-Qaeda with two bomb attacks in Istanbul in 2003. 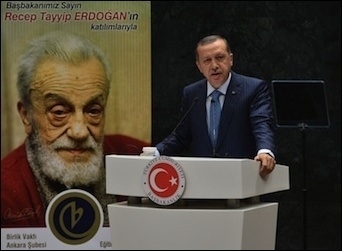 President Erdogan has a strong affinity for Turkish Islamist poet Necip Fazil Kisakurek. IBDA-C's leader, Salih Mirzabeyoglu, was imprisoned in 1998 for a life sentence. But last July, twelve years after Erdogan came to power and consolidated his grip on the judiciary, a high court in Istanbul quietly released Mirzabeyoglu, pending retrial. The paths of Erdogan, Mirzabeyoglu and Kisakurek, the poet, had crossed many times before. Both Erdogan and Mirzabeyoglu come from the ranks of Turkish Islamist ideology, known as Milli Gorus ["National View"]. When Kisakurek first met the 15-year-old Mirzabeyoglu, he excitedly remarked: "This is the voice I have been looking for in the last 40 years!" Erdogan is well known for his habit of publicly reciting Kisakurek's poems. One of the pro-Erdogan newspapers, Star, awards literature prizes in the poet's name. Attending last year's ceremony, Erdogan generously praised Kisakurek, IBDA-C's principal inspiration: "Even today, Necip Fazil [Kisakurek] is a fortune for Turkey, for the young generations and for the [Islamist] struggle." In 2012, Erdogan quoted a line from Kisakurek's "Oration to Youth," which praises a youth that "claims its religion, language, brain, science, home, purity and hatred." Erdogan came under fire for calling up a youth that harbors "hatred" against apparently non-Islamist enemies. Is it still too hard to understand why Erdogan's "fight" against radical Islamists in Syria and Iraq cannot be serious? Re-read his quote from his favorite poet and think again. Think, also, why the Turkish IBDA-C leader may have been released from jail, why his life sentence for terrorism was abruptly suspended, and why he will be granted retrial. Then read once again why IBDA-C's magazine, Adimlar, is a staunch supporter of ISIS. Finally, note how Turkey's political demographics have progressed in line with Erdogan's (and Kisakurek's) wishes: "a youth that claims its religion, language, brain, science, home, purity and hatred." In August 2014, the Turkish polling company MetroPOLL found that 11.3% of Turks did not view ISIS as a terrorist organization. That is in no way a marginal figure. If a "mere" 11.3% of Turks think so generously of ISIS, it means there are nearly nine million Turks sympathetic to jihadists. And if only 10% of those decide to support ISIS's jihad, that comes to nearly 900,000 potential Turkish jihadists (even 5% would mean an army of nearly 450,000). Those are ISIS's Turkish brothers.